You don’t need to buy an expensive rain jacket for hiking and backpacking because an inexpensive one will work just as well as one costing an arm and a leg. In fact, most backpackers use rain jackets that cost $100 or less for just this reason. While outdoor clothing manufacturers and the media rave about the breathability of Gore-tex, eVent, or Pertex fabrics, the fact is they work poorly for people who cover up their torso with a backpack, shoulder straps, and hip belts. Water vapor can not move across a breathable laminate efficiently under those circumstances. Here are the 10 top rain jackets that hikers and backpackers really use. The coating that makes these jackets breathable, called DWR for “durable water repellent”, rubs off with use. When that happens, most backpackers buy a new jacket, on average every 2-3 years, instead of trying to restore the DWR coating with a product like Nikwax TX Direct. Alternatively, many hikers and backpacks buy rain jackets that are made with non-breathable fabrics. Many of those rain jackets have pit-zips and other venting features to help reduce internal sweat build up when it rains. But if staying perspiration-free in the rain is important to you while you’re hiking down a trail carrying a loaded backpack…maybe you should pick another sport. You’re going to sweat. Think of a rain jacket as part of your larger layering system instead. It’s best use is to keep you warm when it’s raining or the wind is blowing hard, often in combination with a mid or base layer. Perspiring is inevitable. Your goal should be to stay warm and avoid hypothermia. The Marmot Precip is by far the most popular backpacking rain jacket because it’s inexpensive, but fully featured with pit zip vents, a fully adjustable hood, velcro-wrist cuffs, and a hem adjustment. The jacket also has two mesh lined front pockets which are great to store gloves or a hat and provide additional ventilation. The Precip is made with Marmot’s proprietary waterproof/breathable fabric which gets the job done but will need to be reproofed when the DWR coating wears off. While the Precip is priced at $100, you can usually find it for far less. The Precip is available in men’s, women’s, and youth sizes. Read the SectionHiker review. The Outdoor Research Helium II is one of the lightest weight rain jackets available, which explains its popularity with ultralight backpackers and thru-hikers. While it lacks many features such as side pockets, pit zips, and adjustable wrist cuffs in order to save gear weight, it has an adjustable hood and a draw cord hem to keep wind from robbing your body heat. The Helium II also has a small chest pocket with a water-resistant zipper, good for carrying a cell phone, and a small inner pocket, which the jacket can be folded into for storage. The jacket is made with Pertex Shield+, a lightweight waterproof/breathable fabric with decent breathability, but it will need to be reproofed when the DWR coating wears off. The Helium II is available in both men’s and women’s sizes. Read the SectionHiker review. The Frogg Toggs UL2 Rain Jacket (part of the UL2 rain suit, but also available separately) is an inexpensive, utility jacket favored by many backpackers because it’s so lightweight and inexpensive. It’s made with a non-woven polypropylene fabric that’s permanently waterproof. While the UL2 Rain Jacket does have an adjustable hood, it doesn’t have any pockets or other features that you find on most other rain jackets. The fit is also quite baggy and the material is easily ripped. But it’s easy to repair with duct tape, and for only $20, it’s a surprisingly good value that provides inexpensive rain protection and warmth. Unisex only. The Patagonia Torrentshell jacket is quite similar to the Marmot Precip in terms of features with a fully adjustable hood, pit zips, velcro wrist cuffs, hem pull cord, and side pockets. However, it’s made with a significantly heavier weight 50 denier fabric, which makes it a warmer jacket and a heavier one, coming in at about twice the weight of the Outdoor Research Helium II. The Torrentshell Rain Jacket is made with Patagonia’s proprietary waterproof/breathable fabric which gets the job done but will need to be reproofed when the DWR coating wears off. The jacket is also more expensive than the Precip, which probably explains why it’s less popular. It is available in men’s and women’s sizes. Read the SectionHiker review. The Frogg Toggs Xtreme Lite is a big step up from the Frogg Toggs UL2 Rain Jacket in terms of styling with a fully adjustable hood, zippered side pockets, velcro wrist closures, and a cord-adjustable waist. It’s also permanently waterproof and far more durable and better fitting than the UL2 rain jacket. While the Xtreme Lite is twice as expensive as the UL2 rain jacket, you can usually get it on Amazon for considerably less than its list price. Available in men’s and a new women’s model. Read the SectionHiker review. The REI Essential Rain Jacket is a low-price and basic waterproof/breathable jacket with an adjustable hood, velcro wrist cuffs, zippered side pockets and a drawcord hem. It’s quite durable, but still lightweight at only 8.8 oz. It lacks pit-zips like the Marmot Precip and Patagonia Torrentshell Jackets, but it also costs less. The Essential Rain jacket is made with REI’s proprietary waterproof/breathable fabric which gets the job done but will need to be reproofed when the DWR coating wears off. This jacket is still a good value for the price. It’s also available in men’s and women’s sizes. The Lightheart Gear Rain Jacket is a fully featured rain jacket with an adjustable hood, pit zips, velcro wrist cuffs, interior and exterior pockets and a drawcord hem. It’s made with a permanently waterproof fabric (available in silnylon or PU coated silnylon), so you’ll never need to restore a DWR layer because it doesn’t have one. Lightheart Gear is a cottage manufacturer that sews all of their jackets, so you can request custom alternations when you order it. It’s also available in a nice variety of colors. The sizing is unisex. Read the SectionHiker review. The Columbia Outdry EX Eco is a waterproof/breathable jacket that doesn’t have an external DWR coating, so you never need to reproof it. It’s a fully featured rain jacket with an adjustable hood, two big mesh-backed side pockets, velcro wrist cuffs, and elastic hem adjusters, but it does not have pit zips. The breathability of the EX Eco is pretty impressive compared to Gore-tex, but the jacket is relatively heavy and warm. The EX Eco is a good choice if having a waterproof/breathable jacket is your top priority and gear weight is less important. It is available in men’s and women’s sizes, as well as in a new black color. Read the SectionHiker review. The North Face Venture 2 is a fully featured rain jacket which is comparable to the Marmot Precip, although it is made with heavier weight, more durable fabrics like the Patagonia Torrentshell. It has a fully adjustable hood, pit zips, velcro wrist cuffs, zippered side pockets, and a drawcord hem adjustment. The Venture 2 is made with The North Face’s DryVent proprietary waterproof/breathable fabric which gets the job done but will need to be reproofed when the DWR coating wears off. This jacket is still a good value for the price and fairly lightweight. It’s also available in men’s and women’s sizes. The REI DryPoint is the most expensive rain jacket in the top 10 because it’s made with Gore-tex, and not a less expensive knock-off waterproof-breathable fabric. The DryPoint is fully featured with an adjustable hood, velcro wrist cuffs, and a drawcord hem. It also has hip belt compatible side pockets, which are highly desirable for backpackers since you can use them without having to undo your hip belt. The side pockets also act as core vents, much like pit zips, but lower down on your torso. These work very well, but you have to pay a premium for them. Like all waterproof/breathable jackets, the DryPoint has a DWR coating that will need to be reproofed when it wears off. It available in men’s and women’s sizes. What are the most important features to look for on a hiking and backpacking rain jacket? When choosing a rain jacket make sure the hood is NOT helmet compatible, unless you have a huge Godzilla-sized head. Unfortunately, many rain jackets are intended for skiers and climbers who wear protective helmets. What you should look for is a fully adjustable hood with a rear volume adjustment so you can shrink the hood size to fit your head, side pulls so you can adjust the size of the face opening, a wire or shapeable brim to shield your eyes from wind and snow, and a high collar that covers your neck and mouth. All of these features will help protect your face from the cold and wind and help you stay warmer. You can’t have too many rain jacket pockets. They’re great for carrying spare gloves, hats, and keeping navigation tools in easy reach. They’re also good for keeping snacks close at hand so you can eat while you hike. I view rain jacket pockets as an extension of my backpack because the extra storage cuts down on the number of times I have to stop to get clothes or food out of my pack. When you have to hike in cool wet weather, you want to limit the amount you perspire by actively managing your warmth level. They key to doing this involves venting excess warmth by removing, or venting layers. A good rain jacket should provide several ways for you to dump excess heat without having to take it off completely. Here are some of the most important features to look for when comparing different jackets. Adjustable Hook and Loop (Velcro) Wrist Closures: These help regulate the body heat at your wrists where the blood flows close to the surface of your skin. They can be worn under gloves or over them depending on your preference and the glove type. Two way-front zipper: If you pull the bottom half up, you can dump a lot of excess torso heat, poncho-style. Hem drawcord: Cinch it closed to keep the wind from blowing up between your legs and robbing your torso heat. But to be honest, I don’t trust the breathability ratings published by manufacturers because they’re measured in ideal laboratory conditions that have little to do with actual use. Pit zips and active venting trump breathability claims any day. If you get too hot, venting your rain jacket is going to cool and dry you off far more quickly than waiting for water vapor to move across a breathable membrane while your zipper is closed. How do we know what the top 10 best rain jackets are? We survey our large readership to ask. If you’d like to participate in our surveys, be on the look up for the gear raffles we run every few weeks on SectionHiker, where we give survey participants a chance to win. Or sign up to the weekly, award-winning SectionHiker newsletter, so you never miss out on an opportunity to participate. We hate spam, so we’ll never share your email with anyone else and you can unsubscribe at any time. Where does the Panorama Point jacket that you recently reviewed stack up? From the spec’s it seemed like it’d be pretty competitive. It’s an excellent jacket but definitely priced at the higher end and one that can span 4 season use, including winter, which most people don’t need. It’s also new out last year and not as popular as these others that are well entrenched. This set of 10 is based on a survey I ran late last year of backpacker rain jacket use. It reflects what people actually do. That said, I doubt the Panorama will unseat any of the top 5 jackets. It’s a waterproof/breathable shell that’s significantly heavier. For example, I’m using the Panorama as a winter shell but I’ll definitely switch to a lighter weight, permanently waterproof jacket next spring. I just bought a Columbia Outdry Featherweight Eco (7.1 oz. in md.). As it happens it has been raining all day here so this morning I set it outside on a bench for a test of the waterproofing. After 8 hours in steady rain the outside has what looks to be splotches of staining like water is soaking through but the inside is still dry. Still, those damp looking areas look like they would transfer cold if I was wearing it in today’s weather (37 F). I looked at 4 hours and they weren’t there and then I saw your article which reminded me to do this last check. Not sure what to make of it since the inside is dry. It may be worth pointing out that the salt from all that sweating you do inside a supposedly breathable jacket degrades the high tech membrane, rendering it even less water resistant. I’ve found the hard way that the issue is especially pronounced around the neck. So, a waterproof/breathable jacket should be washed according to the instructions on the label pretty often. Permanently waterproofed and non-breathable fabrics would usually not be damaged by sweat. I would think that salt damage would probably be even more pronounced in shoes or boots lined with Gore Tex or similar membranes, though I don’t really know. And the more you wash it the faster the DWR degrades (abrasion is bad for it). Catch 22. Yeah, I go back and forth between my REI Drypoint GTX and a Frogs Toggs jacket (as well as GTX and Frogs Toggs pants). Each has trade-offs. Maybe I’ll look at the Lightheart Gear jacket you profiled above, though I’m reluctant to buy yet another jacket. Given your skepticism about supposedly waterproof/breathable fabrics, I’ve been surprised that you’ve favorably reviewed single-walled tents made from such fabrics. Do Gore Tex-type semi-permeable membranes work better for tents than for jackets? Maybe because they’re not rubbed by backpacks or soaked directly by sweat? I don’t really think its worth paying extra for a breathable tent and its purely an accident that any of the winter tents I recommend have it. When it comes to a winter tent, I’m far more interested in ease of setup, whether it’s freestanding or not, wind worthiness, light weight, and vents. I recently purchased and am pleased with the Antigravity Gear (AGG) rain jacket. At 7.1 ounces on my scales for a medium jacket, it is lighter than most and is well made. I recently went hiking in NH and it was raining pretty heavily. I had my wood parka in my bag in case it got cold, which it steadily did. I was able to use a large plastic sheet and pin it to my parka to cover the outside. It worked beautifully to keep me dry and I was warm. I really don’t think people need to buy these fancy rain jackets. The point is to stay warm and dry. You can do that with a variety of clothing and a plastic sheet. Have you seen the mountain hardwear super charger rain jacket? 6.1oz for $100 – I’m a fan. Thanks for the reviews. Now please do some more brands in this category. Of course the eVent breathes much better than the GTX PacLite but in extreme winds (40+ mph) it also lets wind thru the fabric to some degree. So far both suits have held up well and the eVent has seen the most use in skiing and backpacking. Both parkas weight 15 to 16 oz. because, like the Patagucci Torrentshell, they are more durable than the lightest WPB parkas reviewed here. Personally I’ll take durability considering the prices! Happy New Year, Phillip and all. really like the OR Helium HD…..same as the II, but with pit zips, fully adjustable hood, etc. 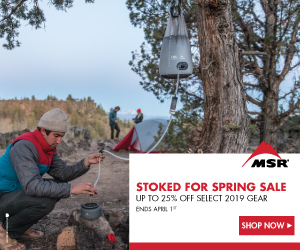 I have the Large…..bought it on a considerable sale last winter, and used it on my attempted AT Thru hike last spring. I most recently used it on an 11 mile day hike yesterday through sleet and rain (all day) here in the Berkshires. Admittedly, I sweated myself wet inside…..until I remembered the pit zips. And at just over 9 ounces……a great value and a permanent part of my kit….it will be with me when I once again attempt the AT this coming April. As always Phillip…..I value your advice and opinions, borne on the back of experience! My one complaint about the North Face Venture 2 is that the arms are super long. I really find it surprising this isn’t mentioned as a common con for it. Longest sleeves I’ve ever owned. Doesn’t affect performance so I kept it (ordered online) but man if those sleeves were 3″ shorter I would be a lot happier with it. Thanks, I enjoy reading your stuff. Not really my kind-of thing. I only review gear that I have a genuine interest in using. But no harm asking! What about those that use a poncho? Is it really just a matter of preference on how a hiker wishes to “try” to stay dry? I kind of like the idea of not getting the sholder straps wet or the rest of the part of the pack that is in contact of my back. I’m thinking a long the lines of Packa. I’d love to hear what experianced hikers think about this. trouble I had with a poncho is when you stop if you want to drop your pack. you have to take your poncho off. then you get wet. I haven’t used a poncho in decades, but they seem to be making a bit of a comeback, including in high-tech fabric. I don’t know anyone who uses a Packa, so I can’t comment, but having sleeves would seem to defeat the airflow under the armpits benefit of a normal poncho. I think a poncho can make sense in hot, humid weather, due to airflow under it, although an umbrella is also an option in those conditions. Of course, if the weather is hot enough, then getting rained on is a relief. I don’t see the point in covering your backpack with a poncho, since either a fitted pack cover or a garbage bag lining the inside of the pack would be more waterproof. The problem I have with ponchos is that when they flap around in wind they tend to snag on vegetation or rocks. I looked at Frogg Toggs fairly recently, and their UL2 2-pc rainsuit has marketing-speak on there about it being a waterproof and breathable 2-layer fabric. I’m not sure I’d bank on it to resist wetting out. What do you think about the outdoor research aspire? I’ve had the helium wet out pretty quickly just running around town, so I was looking for a really good rain coat for a three week backpacking trip. Why don’t you wash in new DWR for 10 bucks and use it the helium. Look up Txdirect. Check out Helly Hansen’s rain jackets for sailing. They’re not breathable and inexpensive! Thank you, but its a bit heavy with 1.1kg for an emergency Jacket, and seems very specific for the sea with beaing mould resistant.